I've released a new version of this tool. I've removed the calc buttons and simply make the calculations as the user inputs the numbers. Also, I've disabled all the buttons that are not applicable at the moment anyway. I hope that makes the usage a bit more intuitive. As always, it can be found in the plugin section or here. Finally (one might be rightfully inclined to say) AddingTime has become able to read out the techical specification of the Death Star DVD or Blu-ray disc itself. Kindly take a look at the readme file for more information. I'd like to thank mediadogg for giving me code samples and pointers from his Profile Contribution Assistant to achieve this. My pleasure DJ. For what you have done for me and this community, I was glad to help. Thank you DJ, I use this program all the time. Due to the current Any DVD crisis, I tested out PassKey if it works for the purpose of AddingTime. 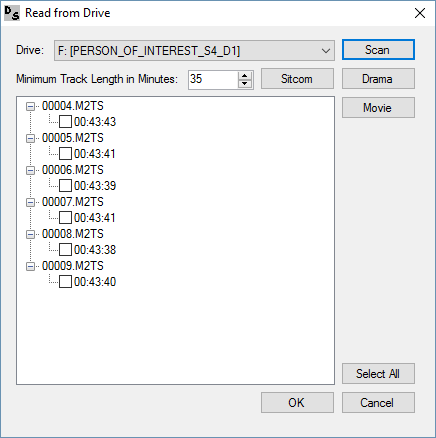 I just tested it with my recent US purchase of Person of Interest Season 4 and it decrypted it properly.